Baldur's Gate. Icewind Dale. Planescape: Torment. Fallout. If you played those wonderful isometric RPGs back in the late '90s and early aughts, then you should get a slight chill down your spine remembering some amazingly immersive gameplay that still holds many of us old-school role-players in its captivating grasp. While there have been many great RPGs released since then, these older games represent our first computer kiss with the genre and that memory sits embedded in our consciousness. That's probably why the Kickstarters for Pillars of Eternity, Wasteland 2, and Torment: Tides of Numenera were so incredibly successful. We missed our first love. We wanted it back, and finally, thanks to developers Obsidian Entertainment and InXile, we got our wish. It is why I was so excited to walk into the Paradox Entertainment booth behind closed doors at E3 to get a first public viewing of Pillars of Eternity. 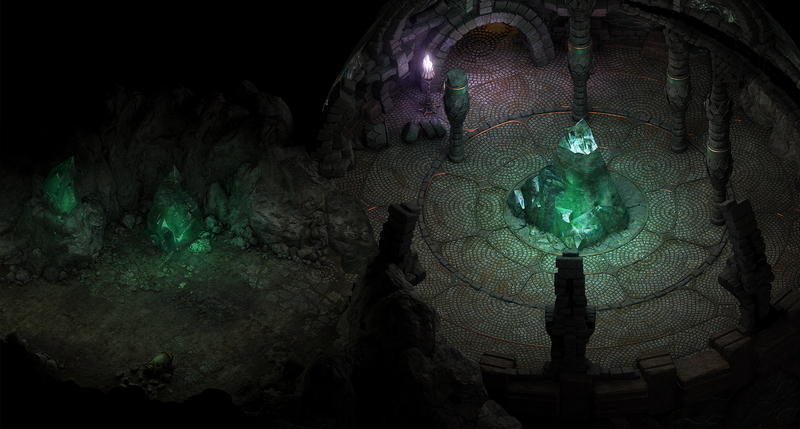 Obsidian is made up of old Black Isle folks, who crafted Icewind Dale and were part of Interplay during the Baldur's Gate and Torment days. Guys like Chris Avellone, Josh Sawyer, Feargus Urquhart and Tim Cain understand the old-school isometric system and what made the old games great. 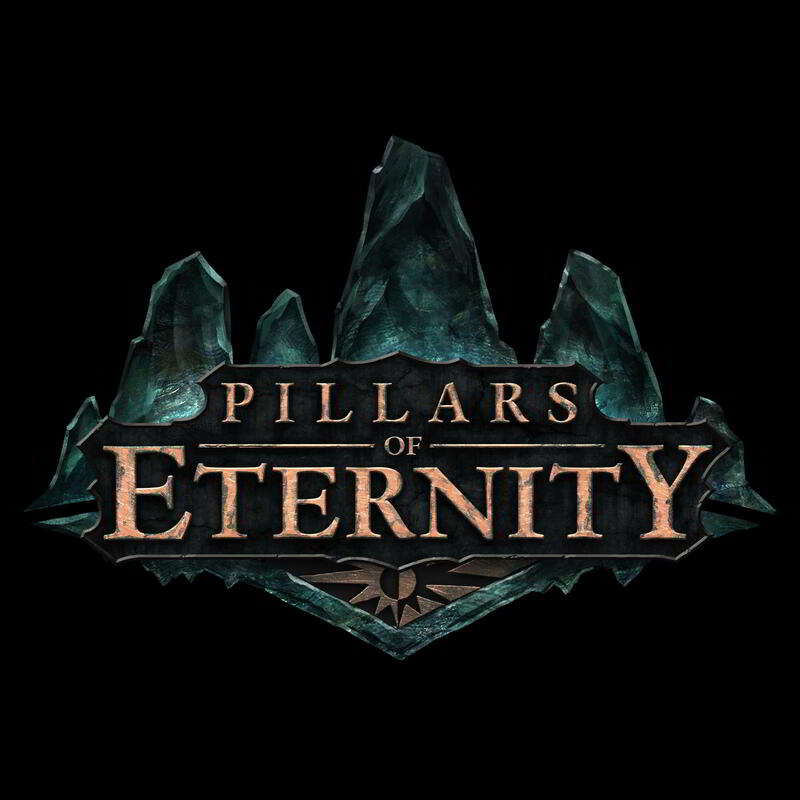 And while many of us remember those old fantasy titles as being part of the Dungeons & Dragons system and world, Pillars is forging ahead without Wizards of the Coast to create its own unique IP, complete with lore, bestiary, races, classes, and gameplay system. "We definitely took our inspiration from D&D, especially the 3rd and 4th editions," said Pillars producer Adam Brennecke, "but the new rules sytem was designed with a computer RPG in mind, not a tabletop session. Every character will have their own personal round timer based on their stats and the weapons they are using." The short demo was impressive, and immediately upon seeing the opening sequence, memories of Baldur's Gate came flooding back. While the isometric view was part of that, the art and Infinity-engine style - down to the movement cursor and colored circles around characters and enemies - was strikingly similar, and that's not a bad thing. The story, or as much as we got of it, begins with your character joining a caravan, which eventually stops for the night. When a runner sent out to get supplies fails to return, you and a companion are sent to find him. You find him dead, which gives you pause to check the safety of the caravan, but you return to find almost all of them dead as well. The caravan quartermaster still lives and he joins your party. That brief snippet of story showed off a bit of the new Pillars rule system for classes, which doesn't confine a class to specific weapons or armor types. We saw a mage in heavy armor still casting spells unencumbered. We also got a bit of insight into the character creation process, and how a character can evolve during gameplay. "You will have an opportunity to use some of your skills in dialogue as well as combat," Brennecke said. "The answers you give can change your reputation with people and be save as part of your character's history." Players will be able to choose from 11 classes. There will be traditional roles such as Fighter, Druid, Barbarian, Monk, Priest, Ranger, Paladin, Rogue and Wizard, but also two somewhat novel classes called the Chanter and Cipher. The Chanter is similar to a bard, but instead of songs, it can rearrange the phrases of chants to provide different effects in battle. The Cipher uses mind and soul energy to control people around him, similar to psionics.